Deftly written …Patterson’s book must now be considered the definitive Tsavo lion study. Patterson’s research at Chicago’s Field Museum and Tsavo National Park – the most important wildlife preserve in East Africa – have established him as one of the world’s leading experts on lions as well as an important conservationist’ – “Publishers Weekly”. Researchers from the Kenya Wildlife Service have reported that Kenya is losing about 100 lions each year, and that there are and now just 2,000 lions left in the country. Some observers, perhaps somewhat alarmist, have believe lions might be extinct in the next 10 to 20 years. The cause of the rapid decline of the country’s lion population is conflict with people. They are a threat to people’s lives and livelihoods, and locals retaliate by killing lions, often poisoning them with by a pesticide called Furadan. But this excellent article believes the root cause of these conflicts lies linked to Kenya’s wildlife conservation policies. Although lions are costly to local communities and private landholders especially those who raise livestock, these renowned predators are very valuable economic assets. Economists have estimated the value of a single male lion in Amboseli National Park in relation to tourism activities at over $500,000 during the course of the animal’s lifetime. More recent estimates suggest that Kenya’s remaining lions may be worth over $30 million annually. 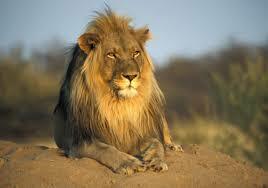 Certainly, lions are a foundation of a national tourism industry that accounts for up to 10 per cent of Kenya’s GDP. The fact that lions support flows of revenue and economic activity, yet are rapidly disappearing from Kenyan landscapes represents what economists call a ‘market failure’. The marketplace, as currently structured, does not translate lions’ economic value into incentives for their production–hence their widespread decline. At the root of this market failure is the reality that the beneficiaries of lions– mainly the government and private companies such as hotels, airlines, and safari outfitters–do not control the production or maintenance of lion populations. Rather, the status of lion populations is effectively determined by the rural landholders and communities who live alongside lions. Those landholders, however, are not the principal beneficiaries of the tourism industry and do not capture most of the revenue that lions generate. As a result, local people generally have incentives to exterminate lions rather than producing or conserving them.